SLIK’s exclusive A.M.T. 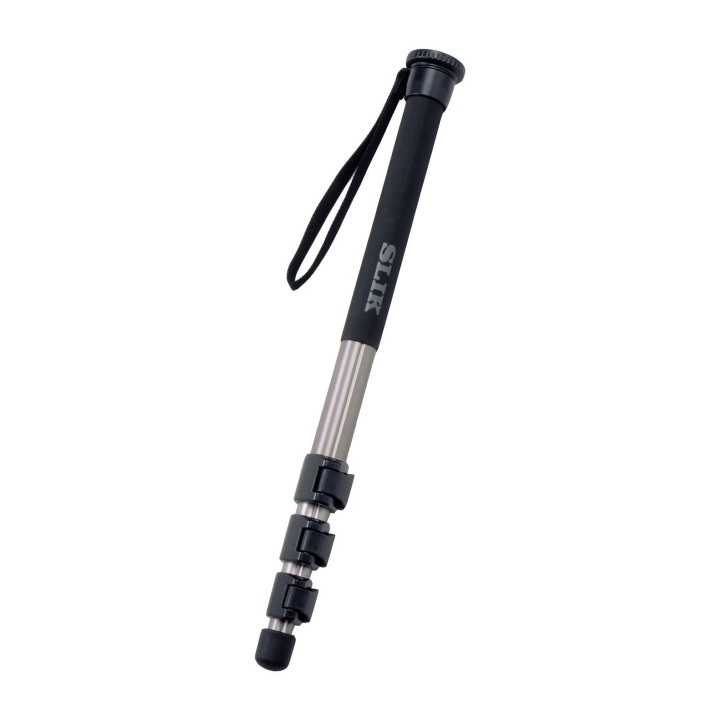 super titanium alloy legs make the SLIK PRO POD 600 monopod rock steady yet lighter than it looks. 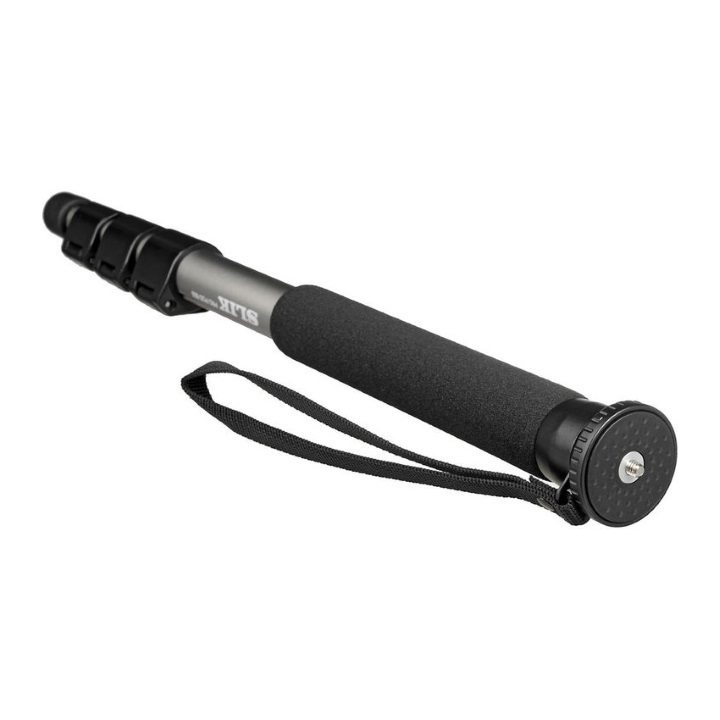 The A. M. T. alloy is lightweight yet stronger than the standard metal used in any of today’s monopods. 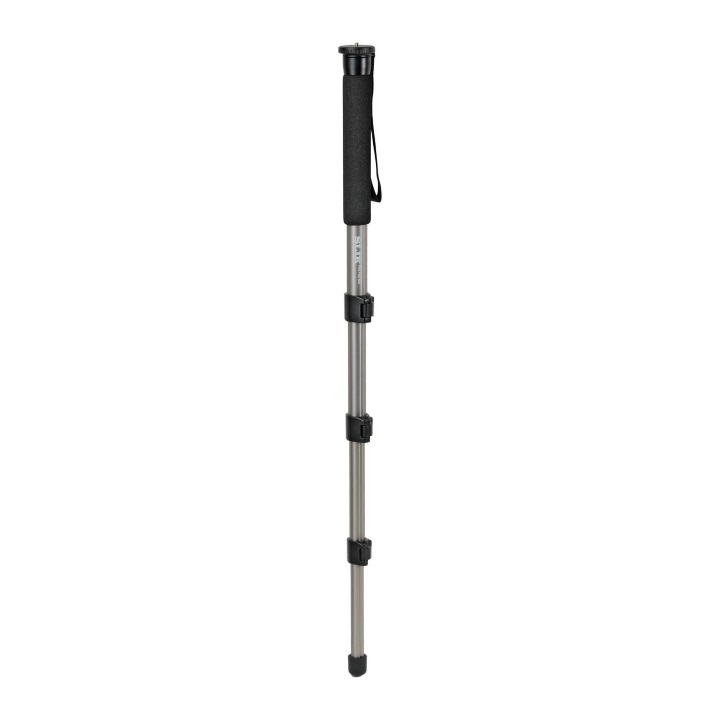 The PRO POD 600’s 4 leg design folds down to a compact 21 inches. Fully extended the monopod is 63 inches tall before adding a ball head. Speed release leg locks make setting up easy, fast, and secure. Use it with heavy professional SLR cameras and long telephoto lenses, making it perfect for sports or nature photography. 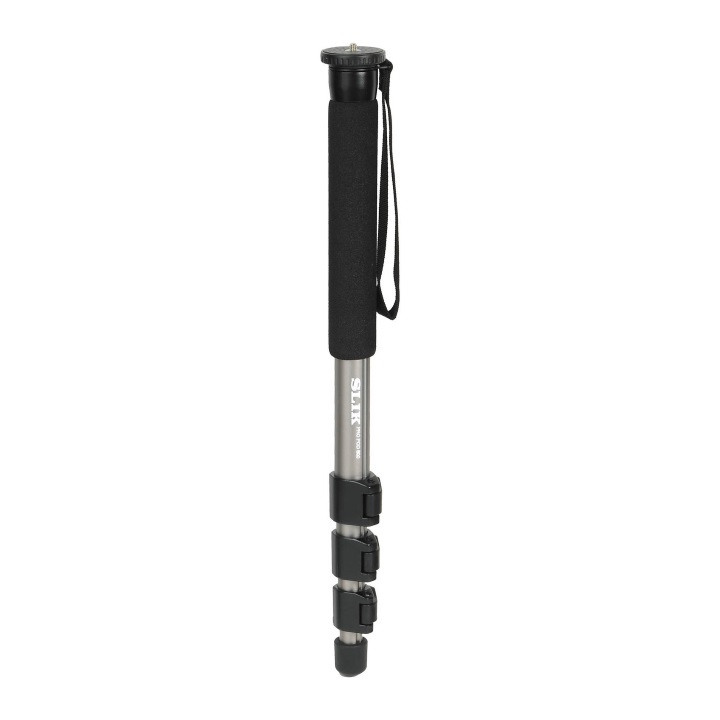 A SLIK firm-grip surface provides a strong hold in any weather conditions while the wrist strap can be used to further the stability of the monopod. Box Dimensions (LxWxH) 22.0 x 2.6 x 2.6"